In a Nutshell – What is Energy Psychology? Energy Psychology, which also refers to EMDR (Eye Movement Disassociation and Reprocessing), EFT (Emotional Freedom Technique) or “Tapping” in addition to Psychological or Mindfulness Coaching – was first used to de-traumatize War Vets, and is now becoming one of the most popular ways to get rid of or greatly reduce all kinds of anxieties, fears, worries, stress, bad habits, aggressive or self-sabotaging behavior, phobias and old in-grained belief systems. How does it work? On a sub-conscious level your stored “reaction patterns” get activated while you bring up recent or ongoing worries, fears, etc. Meanwhile, specific Acupressure points on the body are targeted along with other techniques & dis-activate the emotionally charged link to that behavior or memory and bring on a sense of well-being in its place. Energy Psychology, aka EMDR or EFT – Tapping is the practice of using a combination of mindfulness counseling while holding specific Acupressure points along the body as well as other brain disassociation/reprocessing techniques so as to enable powerful changes in mood, behavior and energy levels. It is ideal for anything ranging from becoming more positive minded, to being more organized, getting over a phobia, anxiety or fear, to changing behavior patterns permanently. The reason it is also known as “Tapping”, is because it uses gentle finger tapping on specific “trigger” or pressure points along your body. With the combination of igniting a body chemistry reaction through the tapping process and you being completely honest with yourself and saying whats bothering you out loud in a supportive and nurturing environment, it has an amazing ability to reach your sub-conscious where 99 % of your decisions are made. The stress is disconnected and replaced by a deep sense of well-being in your body. By really believing in what you are saying, the good and the bad, and working through it with authenticity, no fake positive affirmations here, your emotional charge to the memory, behavior or belief will be highly reduced and sometimes permanently dis-activated. This technique gently unlocks and releases trauma, fear, anxiety, stress, phobias, bad habits, negative beliefs and even physical pain. It can also positively re-enforce boundaries, build confidence, let go of what’s holding you back, build positive habits and change sub-conscious beliefs to serve rather than hinder you. Ever have the feeling that you can talk about something over and over again and it never gets released? Or you try to change a bad habit, but despite your best intentions you keep going back to it? That’s where Energy Psychology comes in; where normal counseling, talking it over with family or friends, repeating positive affirmations and even using your own pure will-power just isn’t working for you, the combination of addressing your subconscious mind while at the same time releasing pressure points along the body is a proven technique to change habits, behaviors, and thought patterns easily and often long-term. Who needs Energy Psychology? 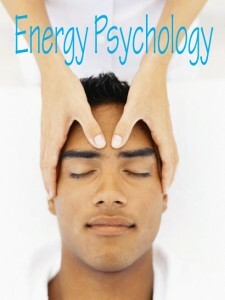 Energy Psychology can be used for almost anything by anyone at some point in their life! Shy to go all out and be too vulnerable, but would like to try EFT? No problem, there’s an easy place to start: I have lots of set Tapping programs that you just follow along and repeat after me! There are ones for physical pain, attracting wealth and abundance, forgiving yourself and others, eating better, etc. How often should you have an Energy Psychology session? Long term effects can be seen as early as the first session, but several sessions are ideal for slowly and gently unraveling and releasing years of build up that may have been subconsciously holding you back in life. There are also Gift Cards* available so you can give the gift of love and energy to one of your family members, friends, associates or even a gentle nudge to your boss, neighbour, business partner, wife/husband, kids or mother-in-law (yes father-in-laws are perfect!). 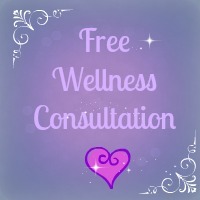 Distance Healing – it’s an amazing therapy to do by distance in your own home. This works by you doing the physical tapping as I guide you along via video chatting or Skype. For more information, inquire through our Contact form! To order or for more information, click on the blue contact button on the left, or call or text Sara at 250-203-1669 or email me at sara@innerenergy.ca ! You can also use the online booking calendar to set your appointments.